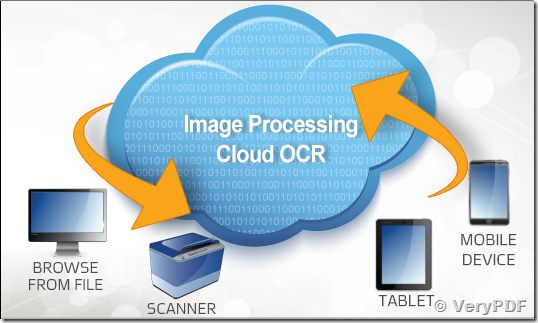 We are evaluating the VeryPDF Cloud OCR API. Already got the TIFF to Text running with the help of the samples. a) If say the TIFF is like a typical Invoice. How can I tell which parts at the top-header information and which part is the invoice-detail. In other words do you provide any sort of template capability. The OCR text is important but need to somehow have our users tell us which text represents which meta-data so we can use that in reducing data-entry and improving import process. b) May have missed it but do you have regular desktop SDK where one can directly scan a document like with TWAIN or WIA compliant. This way we save a step having to convert to multi-page TIFF before sending to your service. >>a) If say the TIFF is like a typical Invoice. How can I tell which parts at the top-header information and which part is the invoice-detail. In other words do you provide any sort of template capability. The OCR text is important but need to somehow have our users tell us which text represents which meta-data so we can use that in reducing data-entry and improving import process. You can use "rectangle" option to get characters from a special rectangle on image file easily. You may OCR same image with different rectangles, then you will get text contents for each rectangle or region. >>b) May have missed it but do you have regular desktop SDK where one can directly scan a document like with TWAIN or WIA compliant. This way we save a step having to convert to multi-page TIFF before sending to your service. btw, we haven't a desktop SDK to scan documents to PDF files directly yet, if you need this SDK, please feel free to let us know, we will develop a "Scan to PDF SDK" to you quickly, after this "Scan to PDF SDK" is ready, you can call it from Java, C#, VB.NET, ASP.NET, VBScript, C++, etc. program languages. How to edit the text extracted from images? What is the best OCR software for creating eBooks? This entry was posted in OCR Products, VeryPDF Cloud API and tagged cloud API, cloud ocr, ocr api. Bookmark the permalink.